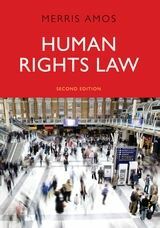 In this completely revised and updated second edition of Human Rights Law, the judicial interpretation and application of the United Kingdom's Human Rights Act 1998 is comprehensively examined and analysed. Part I concerns key procedural issues including: the background to the Act; the relationship between UK courts and the European Court of Human Rights; the definition of victim and public authority; determining incompatibility including deference and proportionality; the impact of the Act on primary legislation; and damages and other remedies for the violation of Convention rights. In Part II of the book, the Convention rights as interpreted and applied by United Kingdom courts, are discussed in detail. All important Convention rights are included with a new chapter on freedom of thought, conscience and religion. Other Convention rights considered in the national context include: the right to life; freedom from torture; the right to liberty; fair trial; the right to private life, family life and home; the right to peaceful enjoyment of possessions; and the right to freedom from discrimination in the enjoyment of Convention rights. 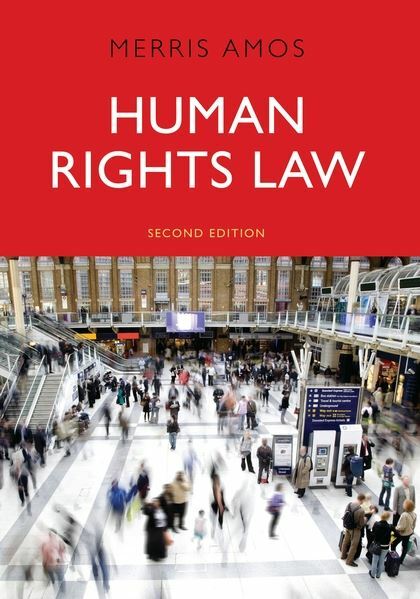 The second edition of Human Rights Law will be invaluable for those teaching, studying and practising in the areas of United Kingdom human rights law, constitutional law and administrative law. The introductory chapter, providing background and dealing with interpretation, brings together a wide range of useful information…and is a good starting point for the keen student…The book is characterised by clarity of explanation combined with detailed treatment that manages to incorporate much more than one might expect from a book that addresses such wide-ranging issues. ...the first work in which the interpretation and application of the act, by courts in England and Wales, is comprehensively examined and analysed. This is a solid textbook on domestic human rights law…a real boon to students and those approaching the field for the first time.